The Greenway has finally taken delivery of its ‘face’, that is the Signage which marks the route. There are ‘trail head’ signs on the Armagh Road, Old Cross Square and Threemilehouse Road, complete with a map of the route and QR codes linking you to more information online. Every junction of the greenway is now also marked with smaller ‘mini-monolith’ signs. The logo will shortly be painted onto the footpath to flag up any turns the user has to make. So no excuses now for getting lost!! 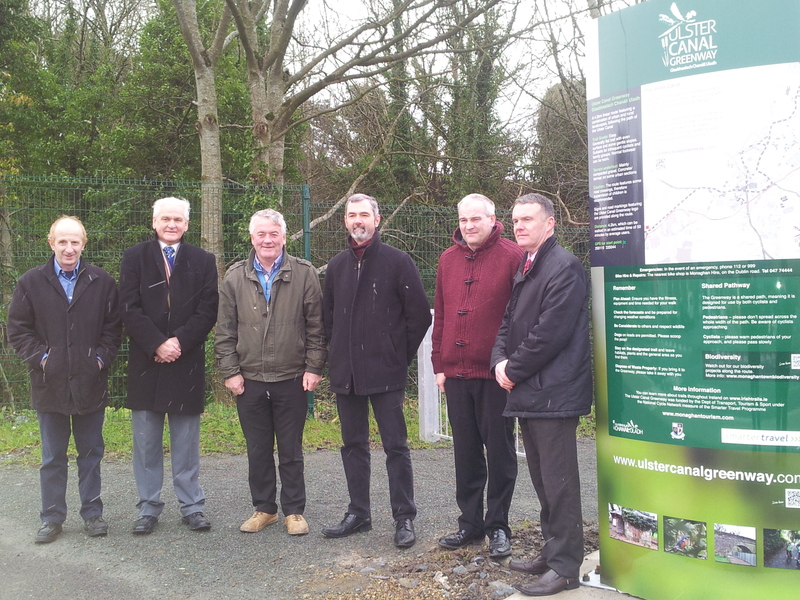 Pictured below are the Municipal District Elected Members, along with MD Co-Ordinator Donal McElwain, inspecting the trailhead sign on the Armagh Road. Previous PostEcocamp Visits GreenwayNext PostHappy Birthday!